You walk across a seemingly unending field, excited to get to work after a long winter. You notice a particular area is holding a bit of water, which you don’t remember from last year, but you want to be sure. You pull out your tablet or phone, and open an app to check last year’s data. 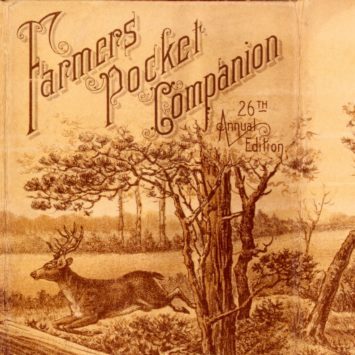 Farmers Pocket Companion, 1890. 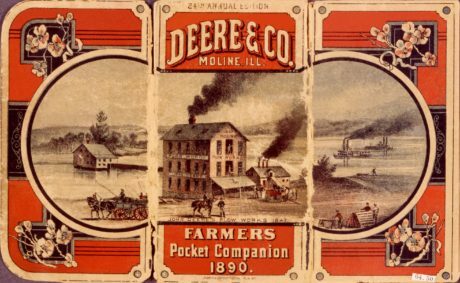 24th Annual Edition Deere & Co. Moline, ILL.
It’s the year 1872, and you’ve just stopped your team of horses and slid off the seat of your new John Deere riding cultivator. You no longer have to walk your 50 acres. You look across the low-lying area covered by water, then reach into your pocket and pull out your records, handwritten in your Farmers Pocket Diary. 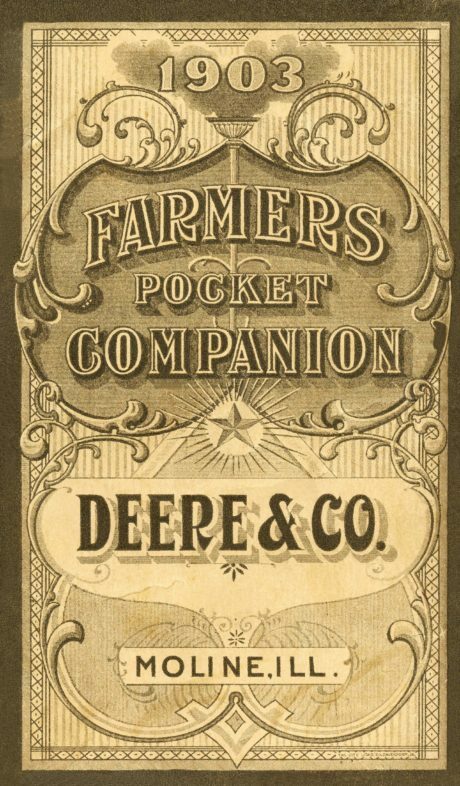 The Farmers Pocket Diary was a new tool in 1867, given to you by your John Deere dealer to help you keep better records of your operations. You take it everywhere. It’s the central repository of your observations and what you keep track of each day. What were wheat prices this time last year? What was the yield in the north section of your farm? What’s the average temperature in February and March, and how early did you plant your crop last year? In 1871, a farmer, whose name is unfortunately not written in his Pocket Diary, recorded information about the cold winter, recording snowfall on ten different days during February. This Farmers Diary is held in the John Deere Archives. 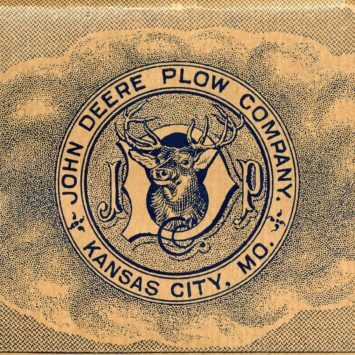 It was issued by Deere, Mansur & Company, the Deere branch house in Kansas City, Missouri, indicating that its owner likely lived in Missouri or further south. On March 8, he sowed eight and one-half acres of wheat, followed by six and one-half acres two days later, and the next several days after that. Come November, with a daily calendar, sunrise and sunset times at hand, the farmer planned for the next growing season. The Farmer’s Diary gave him a starting point with tables for the “Quantity of Seed Required per Acre.” If planting wheat, plan for one and a half to two bushels of seed per acre for next year. Two bushels per acre for barley, and 10 to 15 bushels for potatoes. With each passing year, the Farmer’s Diary added information. 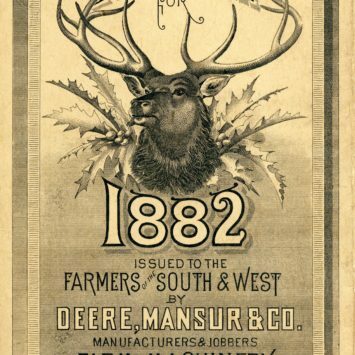 Deere provided more than 40,000 of them to customers in 1875. Its name evolved over time, becoming the Farmers Pocket Companion (1879), Farmer’s Pocket Ledger (1911), Farmer’s Pocket Ledger Notebook (1959), Farmers Pocket Notebook (1963), and from 1980 to 2010, the Farm Management Notebook. The 1989 Farm Management Notebook had grown to sixty pages, including gestation tables, metric conversions, sprayer calibrations, planting charts, pages to record equipment maintenance data, and much more. Still, it fit in the farmer’s pocket. Some of the record keeping that gets logged digitally today started with the Farmers Pocket Companion. The Farm Management Notebook, in its printed form, was last published in 2010, replaced by digital access to information. Today, real-time crop management and in-field data mapping has replaced the Farmers Pocket Diary and graphite pencil. But their lineage is undeniable. 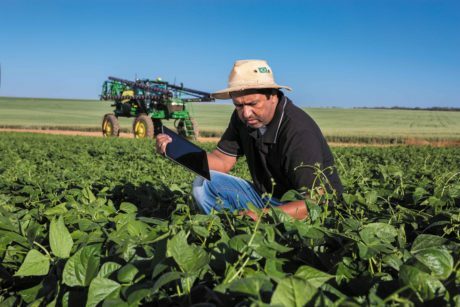 The farmer’s quest to better know, and better manage his farm, continues. 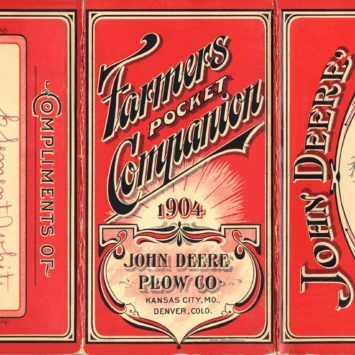 Pocket Diaries and their successors offer invaluable historical insights into John Deere and general farm practices over time. If you enjoyed reading this story, you might also be interested in one of the history stories below.